One day course aimed at the Fleet Manager, Line Manager, Access Negotiator or occasional off-road driver. Accidents happen when a vehicle has been incorrectly specified or an access route is unsuitable for the vehicles and equipment [See Case Study 2]. 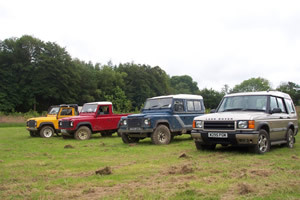 The aims of this course are familiarisation, understanding and selection of light 4x4 vehicles. vehicles have different dynamics to ordinary cars, so this course is designed to increase understanding in these variations how a vehicle handles, stops and drives both on and off road. Course content is similar to the Borda 1 with theory of transmission types, suspension and tyres and how they all alter the characteristics. There is practical experience of off-road driving and assessing the ground conditions. The outcome is a better understanding of this type of vehicle which is useful when managing a work party, purchasing a contract or negotiating access. Please review the case studies to see examples of training packages we have developed and delivered. The principle aims are ones of understanding, safety and awareness. 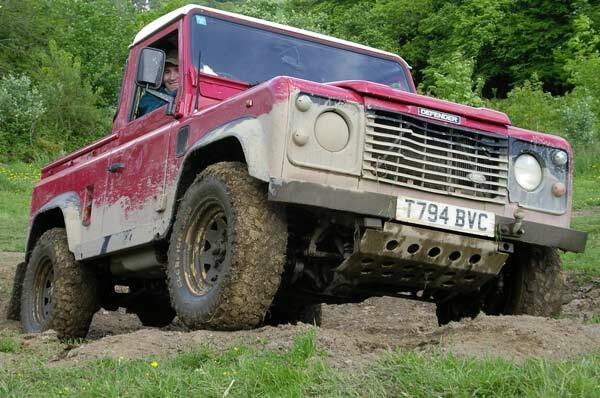 The course starts with a Theory Session where the delegate will learn about four wheel drive systems, suspension design and tyres and how these effect the overall ability of a given vehicle. We then move onto identifying important aspects of the vehicles and safety checks. This part of the course enables a driver to assess a vehicles suitability for a given task. The second part of the course concentrates on proper ground assessment and practice of specialist techniques for off-road situations. We will cover assessing, climbing, descending and recovery procedures for hills. Also side slopes, ridges, ditches and ruts are dealt with. All through the day personal safety and sympathy for the vehicle are stressed. At the end of the day are a quiz to check understanding and a brief set of course notes. The outcome will be a driver who understands how to assess and safely drive in most UK off-road situations. They will also be able to judge when driving is not suitable or may risk unsustainable damage to environment and vehicle. Two day course suited to Foremen/Leading Drivers, Solo Drivers or those who lead a group of vehicles. It can also be considered as the basis of a Train the Trainer scheme. Day one follows Borda Standard Level with more emphasis on multi-vehicle groups and more awareness of how different 4WD would manage obstacles. Day two starts with a further, short, theory session on advanced mechanics followed by more advanced off-road techniques and practice. The final part is an assessment where each delegate will walk and assess an unseen part of the site and proved details of all the issues, risks and techniques along with route planning before finally driving the chosen route. This is followed by a debrief of practice versus expectations. This final section can be completed as either an "Attended" status or at extra cost "Accessed" status with a Pass of Fail result. We can assist in providing a Course designed to your specific needs through Training Needs Analysis (with on-site assessment if required) or via discussion.